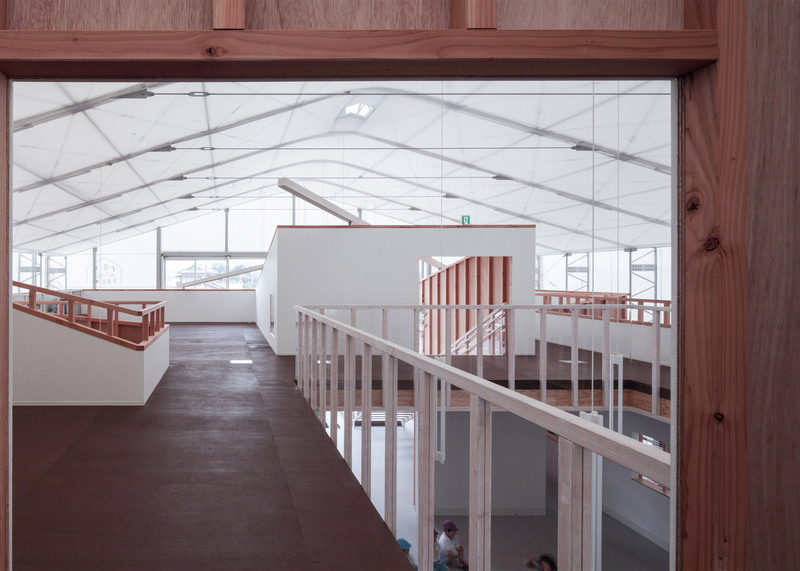 Architect Yasutaka Yoshimura has completed a kindergarten on the site of a disused warehouse in Japan, featuring a tent-like structure wrapped in a translucent membrane that recalls the shape of the original building. (+ slideshow). 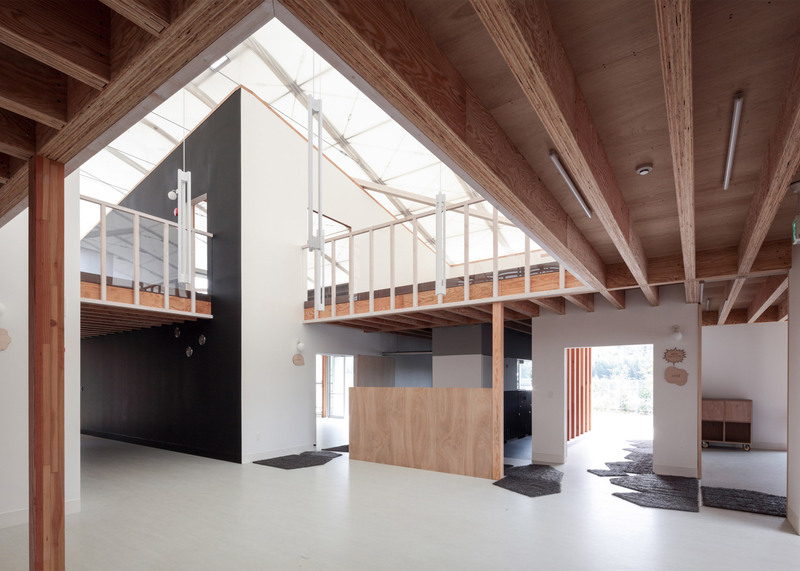 Yoshimura's Tokyo studio was tasked with transforming the former industrial site in Ichihara, Chiba Prefecture, into a kindergarten and community centre that will welcome children and their families. They call the building Fukumasu Base. 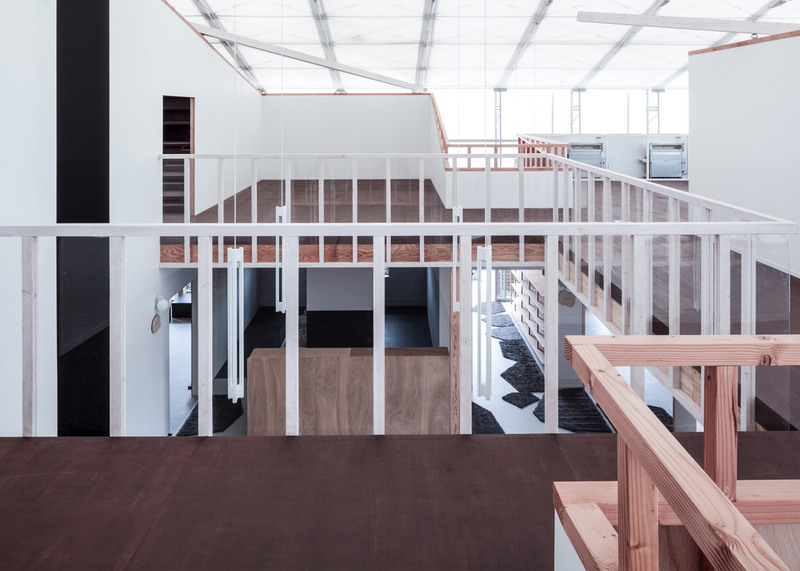 The architects originally sought to retain the structure of the warehouse building but eventually realised it needed to be removed entirely as it was too expensive to adapt it to modern building codes. 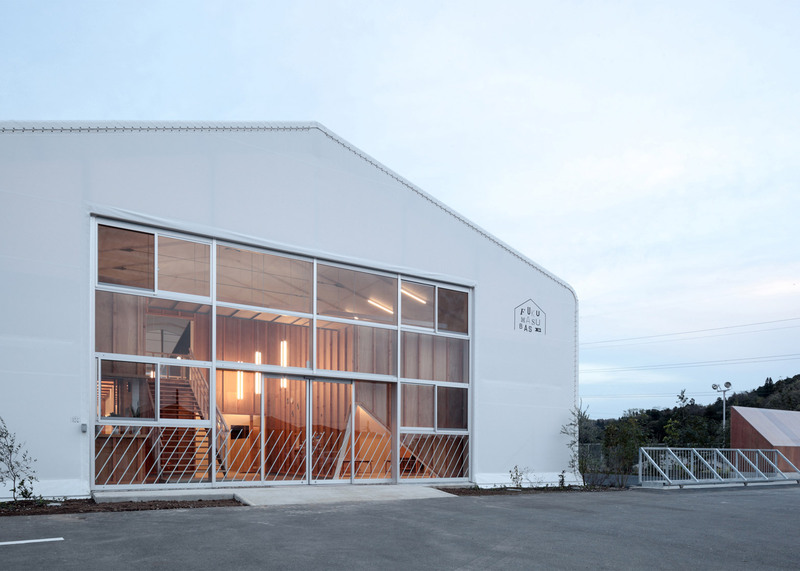 Instead, they repurposed a giant off-the-shelf structure, which is self-supporting and has a gabled form that echoes the shape of the former industrial shed. 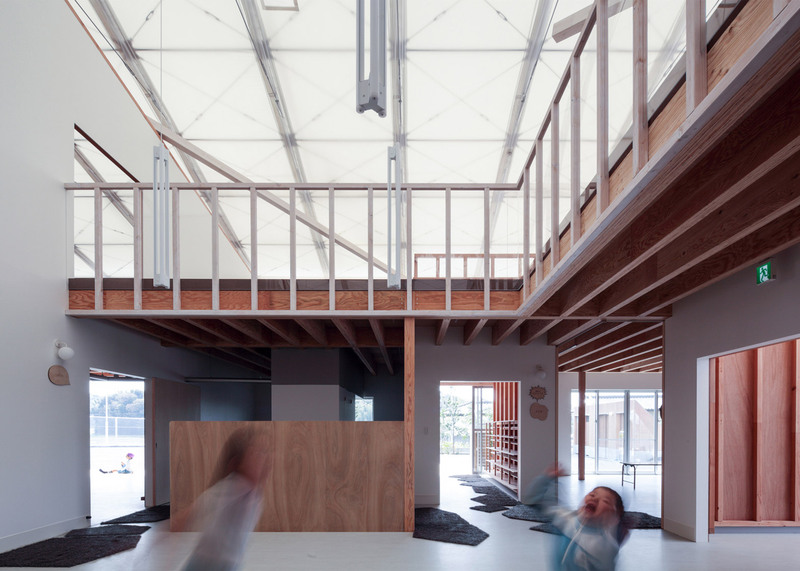 The framework sits outside the internal walls and is entirely wrapped in a tensile waterproof membrane. Glazed surfaces are incorporated into the facades to create entrances and windows. 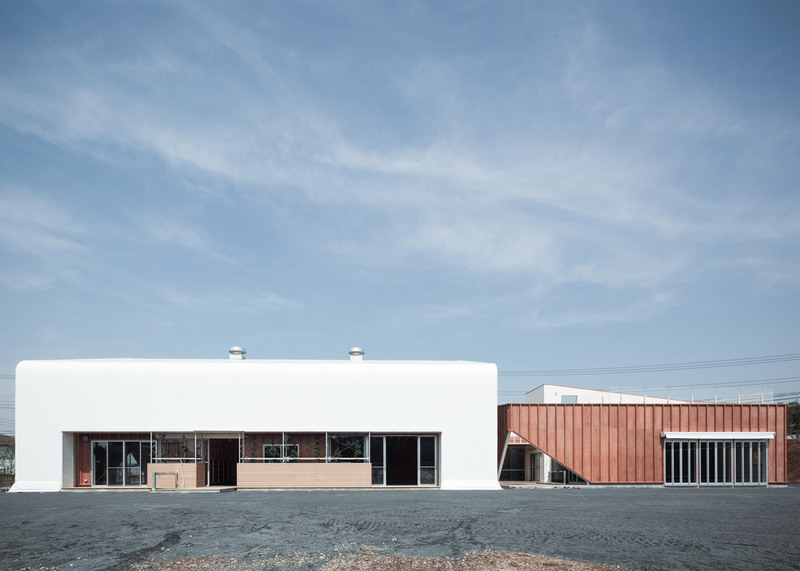 "We chose a tent-like readymade warehouse in order to get enough natural light, and we moved the location of the building a bit for keeping distance from the street and so we can follow the regulation about fire prevention," Yoshimura told Dezeen. "The tent is almost the same as the standard one except for using a self-cleaning coating with a photocatalyst." The internal space is bright and spacious, due to the light that filters through the translucent walls and roof. A system of cables keeps the membrane and the framework rigid without requiring further stabilisation, or unwanted beams and columns. "The thing I wanted to try in this building was to accept preexisted elements in architectural design," Yoshimura added. 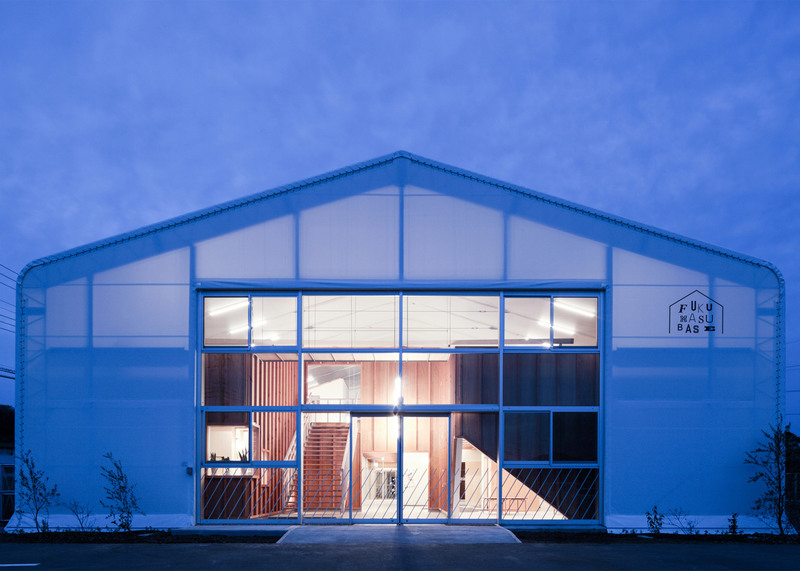 "I accepted the existing warehouse as part of my design at first, and eventually I accepted a readymade warehouse as the environment and therefore I got universality as a byproduct." Freestanding wooden volumes divide the internal spaces into functional areas, including spaces for children and staff on the ground floor. Also located on the lower level are a nursing room, toilets, storage, a multipurpose space and blackboard area, which are arranged around a central void that stretches all the way up to the roof. Some of the wooden walls extend through the floor plate of the upper level to enclose spaces on this floor. The walls are cut off at an angle to follow the pitch of the building's roof. 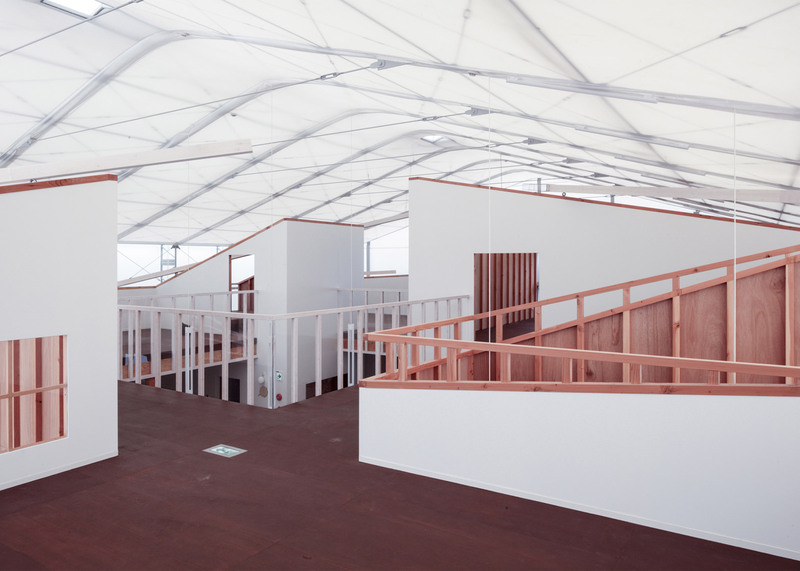 The spaces accommodated on the first floor include a traditional Japanese tatami room and a room with terraced seating that can be used for presentations, performances or play. Many of the internal stud walls are left exposed to display their basic construction. Light and dark wood provide a simple, natural material palette that is complemented by white-painted surfaces. 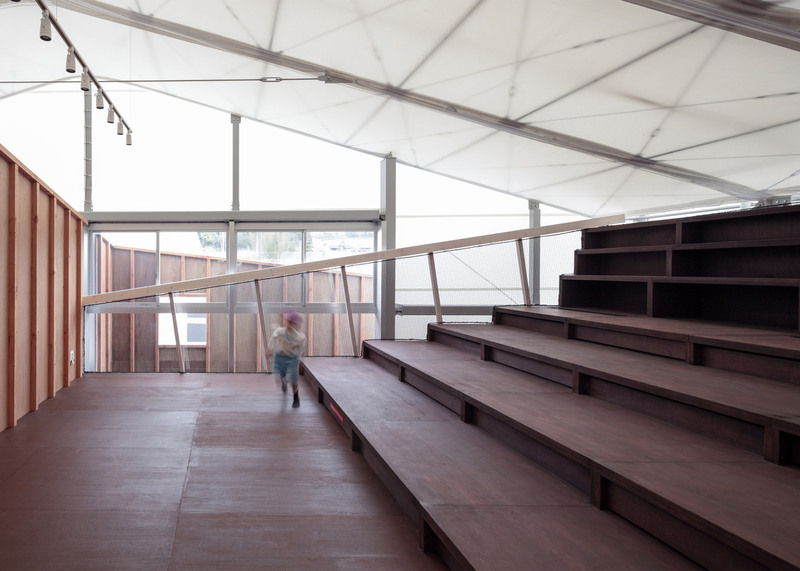 "The tent warehouse also covers the freely folded wooden walls that forms a place-like thing," the architects added. 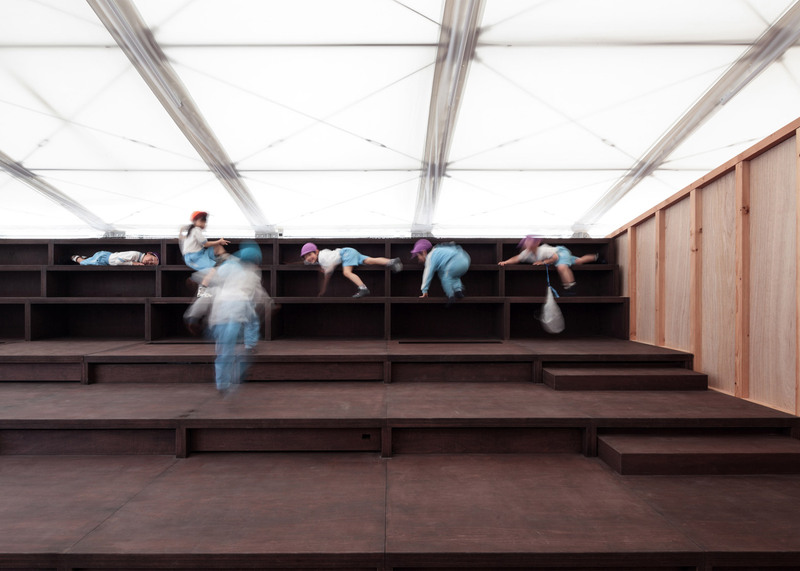 "We also tried to stimulate children's imagination by leaving things like the front side and back side of the walls, and even the conflicting brace structure." Where balustrades are required on the staircase and around the landing, these are made using the same battens as the walls. Transparent plastic panels line the landing to ensure safety without blocking the light. 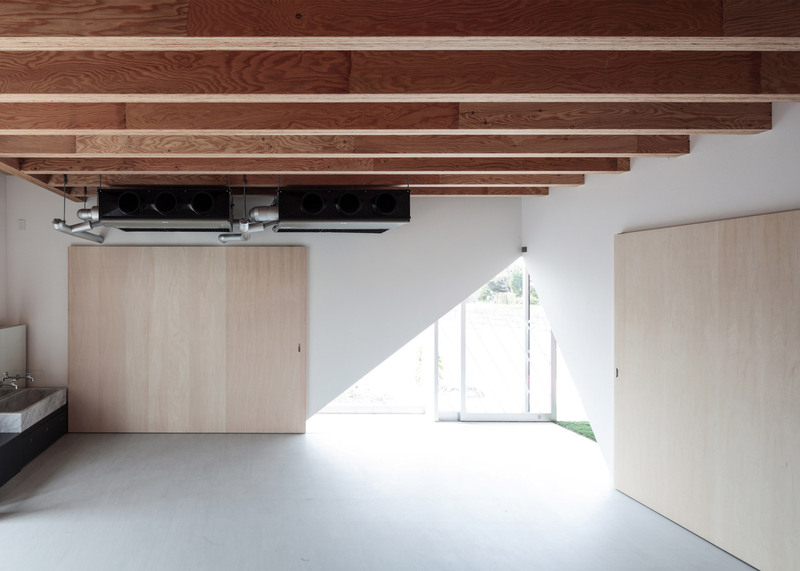 Yasutaka Yoshimura Architecture is based in Tokyo. Previous projects include a seaside retreat featuring windows of varying shapes and sizes, and a tiny weekend house with its living spaces squeezed between two large windows.